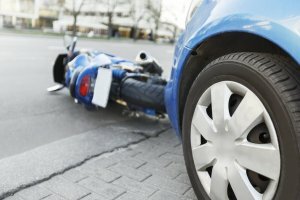 Motorcyclist Killed In A Cooper City Crash | Schuler, Halvorson, Weisser, Zoeller & Overbeck P.A. Police have revealed the names of an elderly Broward County couple injured when their car crashed into an oncoming motorcyclist at Cooper City. A Florida Highway Patrol sergeant said, the couple are both in stable conditions at a Hospital in Coral Springs. He said, the 89-year old man, who was driving, had an unstable back fracture and his wife had internal chest injuries. They were flown from the crash scene to Coral Springs. The motorcyclist died at the scene of the crash, according to Florida Highway Patrol. Broward County police at the crash scene said, the couple’s Toyota Yaris was second in a line of three other cars heading towards Fort Lauderdale going around the bend just off the Deerfield Beach. A Broward County police inspector said, it appeared the third car attempted to overtake the two cars in front, then the second car attempted to overtake. He said, it seemed the second car and third car clipped each other and then the second car speared off to the left, crashing through a farm fence, smashing through a section of cyclone fence surrounding the house before slamming into the oncoming motorcyclist. FHP is asking anyone with information relating to the crash to contact the Broward County Police Department.